1). 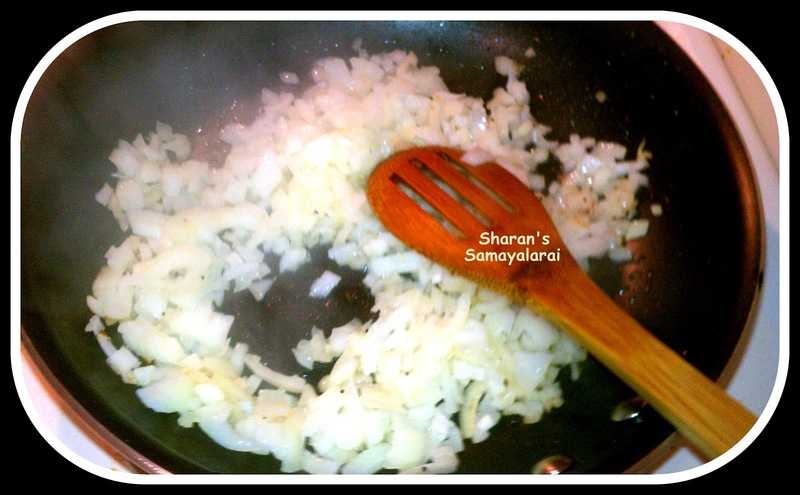 Heat oil in a pan or pressure cooker, add jeera, bayleaf and saute till aromatic. 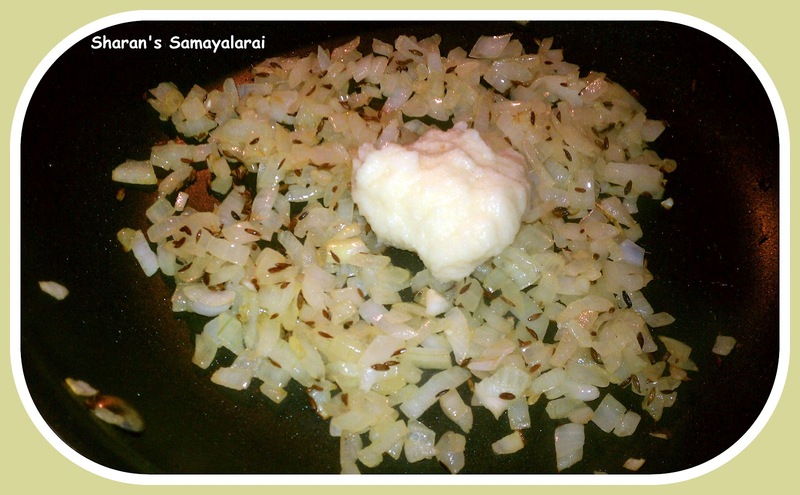 Add chopped onions, salt and saute until onion turns translucent. Then add ginger garlic paste and saute till raw smell goes. 2). Add turmeric powder, chilli powder, garam masala powder and mix. 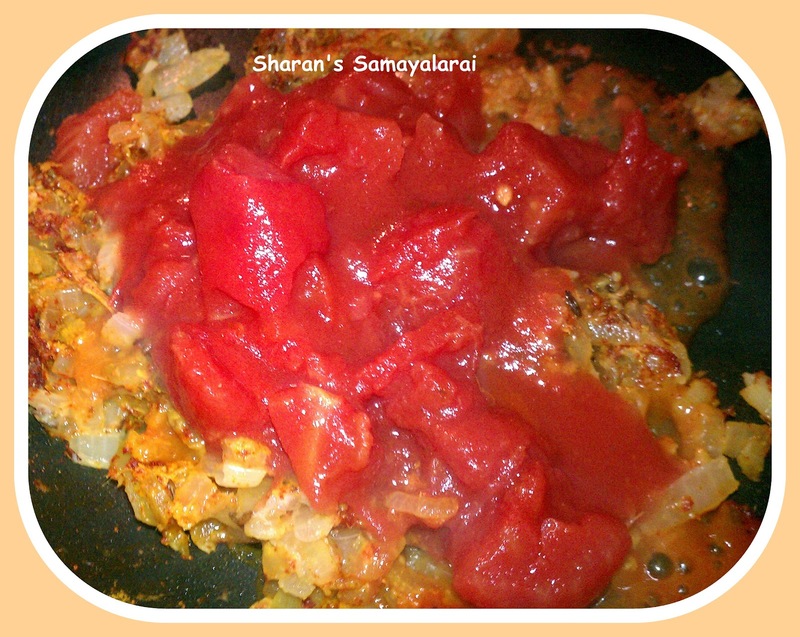 Add chopped tomatoes and saute till the tomatoes have wilted and turned soft. 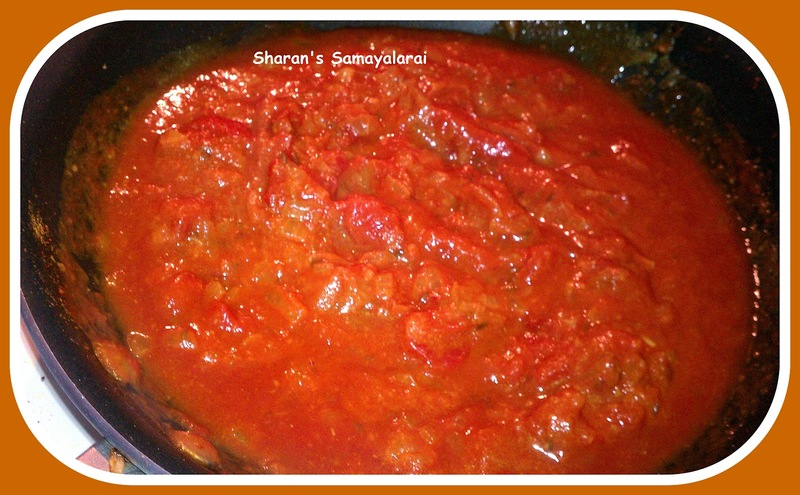 Then add the tomato paste and mix. 3). Let it cook in medium flame till oil separates. 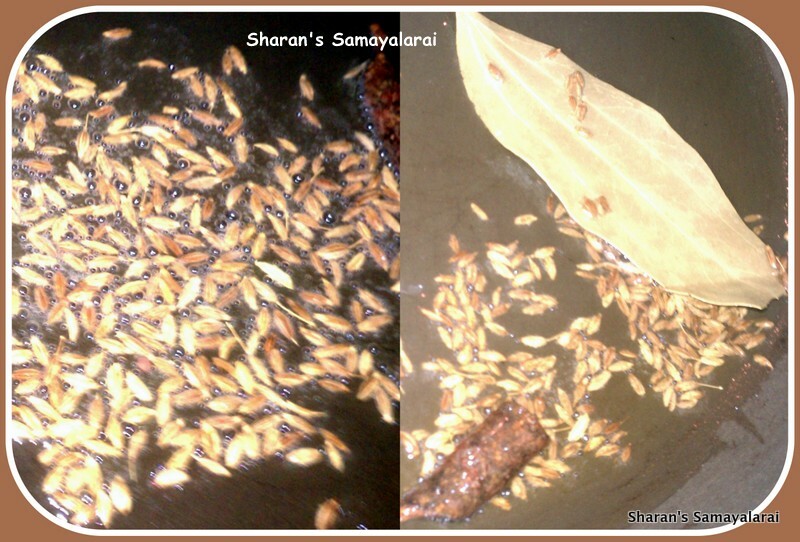 Switch off and transfer the contents to cooker and add rice, mix together. 8). 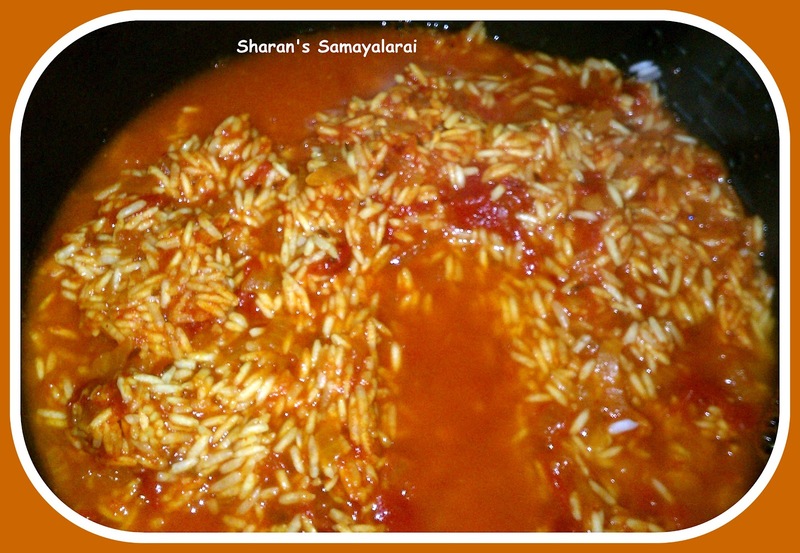 Add water and stir gently without breaking the rice. 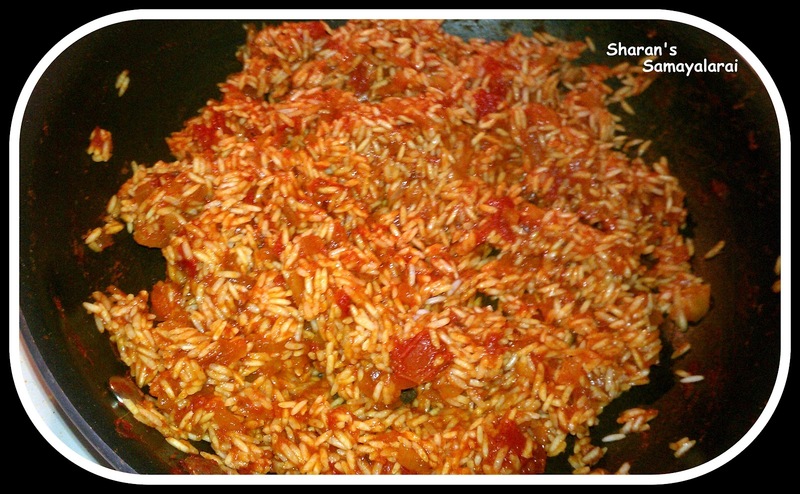 Allow the rice to cook in the cooker. Once its cooked, switch off the flame, leave for 15 minutes and then open it. 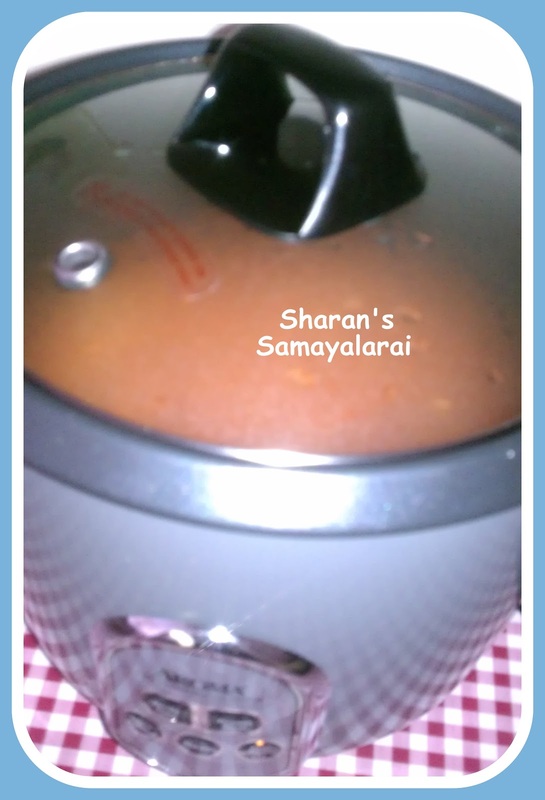 If using pressure cooker, cook rice for 1 -2 whistles. Fluff up the rice with a fork and remove onto a serving bowl. Garnish with fresh coriander leaves. 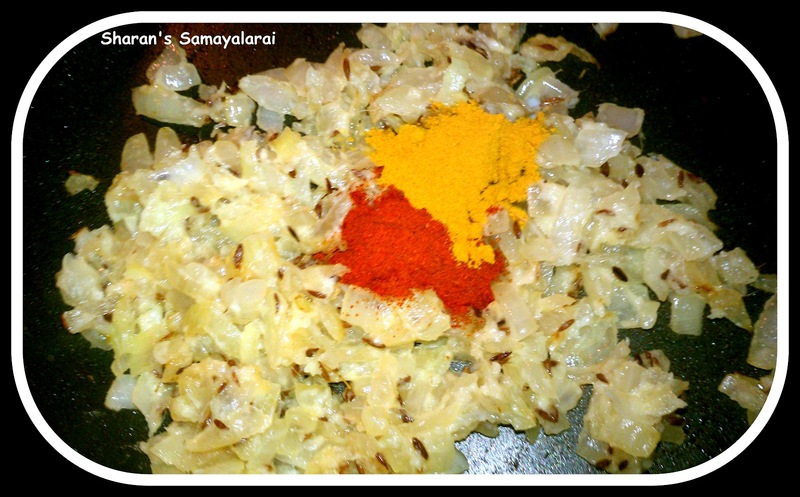 Tastes great even with a simple onion raita and some fryums/vadam. Enjoy !! Simple yet delicious lunch. 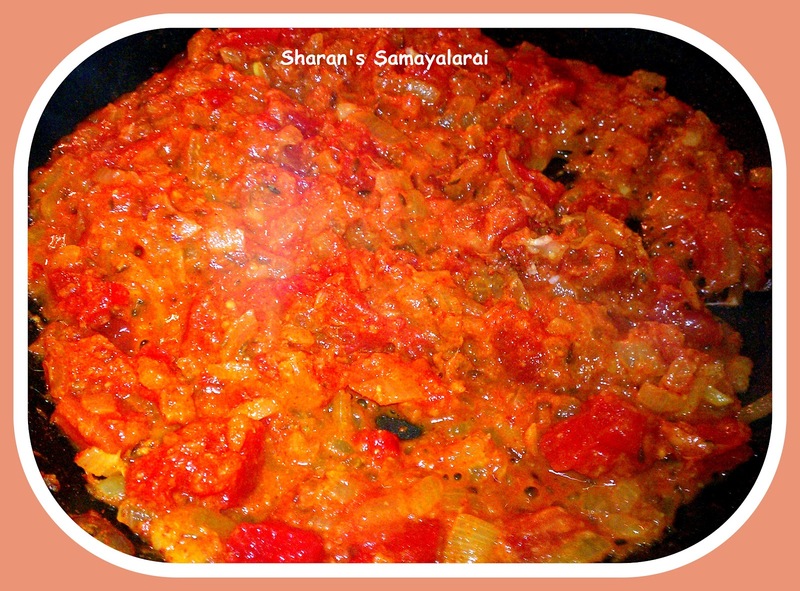 # Use ripened tomatoes if the tomatoes are not ripened little curd can be added. # If tomatoes are very sweet, squeeze lemon juice after removing the lid. 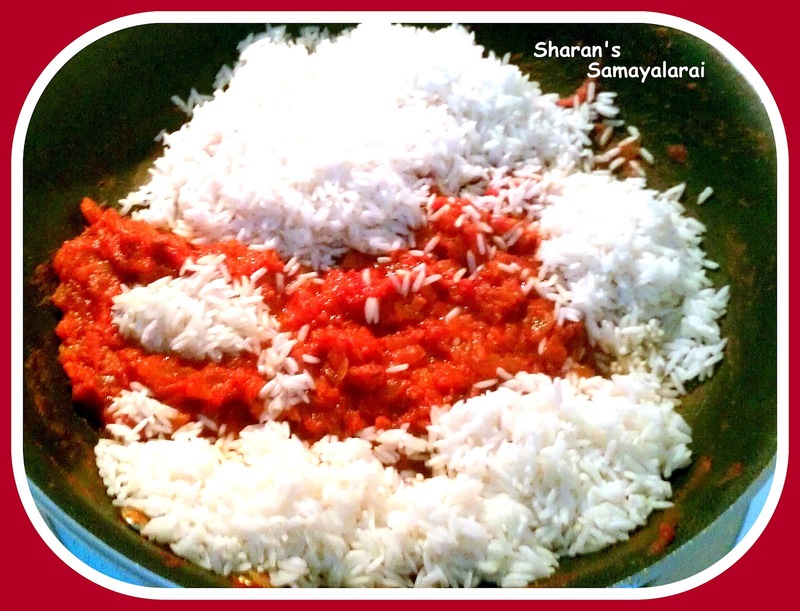 # You can also use regular rice for making this pulao. # A handful or two of fresh peas can be used. # Soaking as much as possible will give soft rice. # Ginger garlic paste is optional and you can replace it with 3-4 chopped garlic. 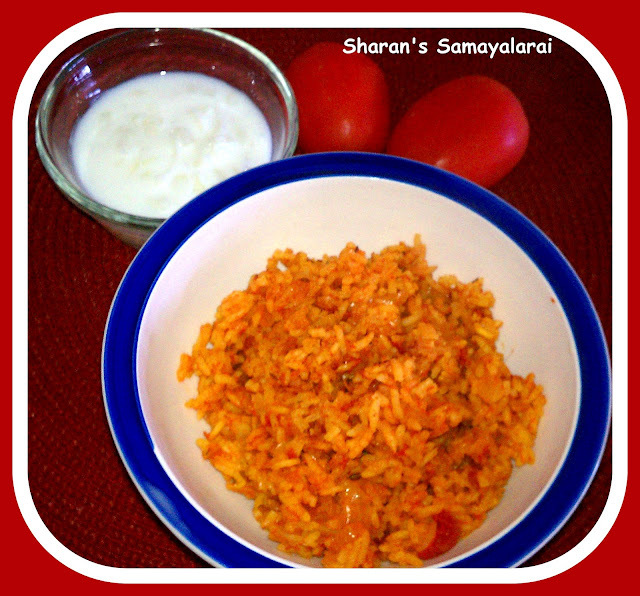 # Butter or ghee can be used instead of oil, which adds more flavor to pulao. 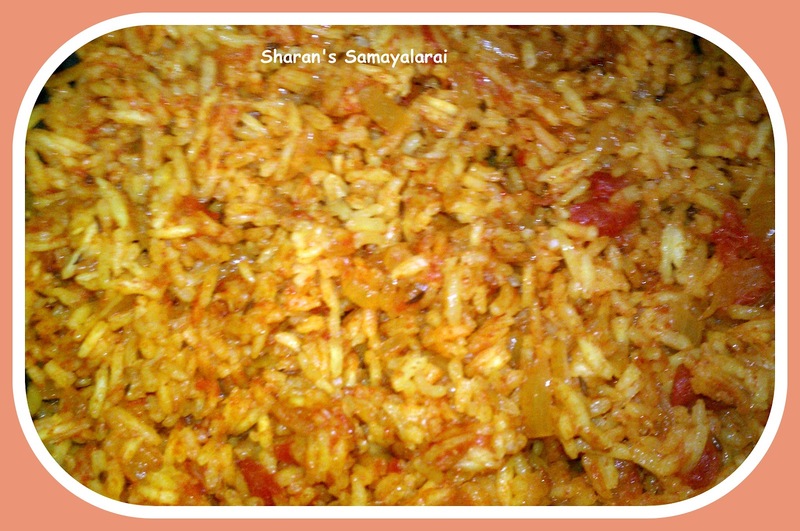 Love this tomato pulao. Looks awesome!